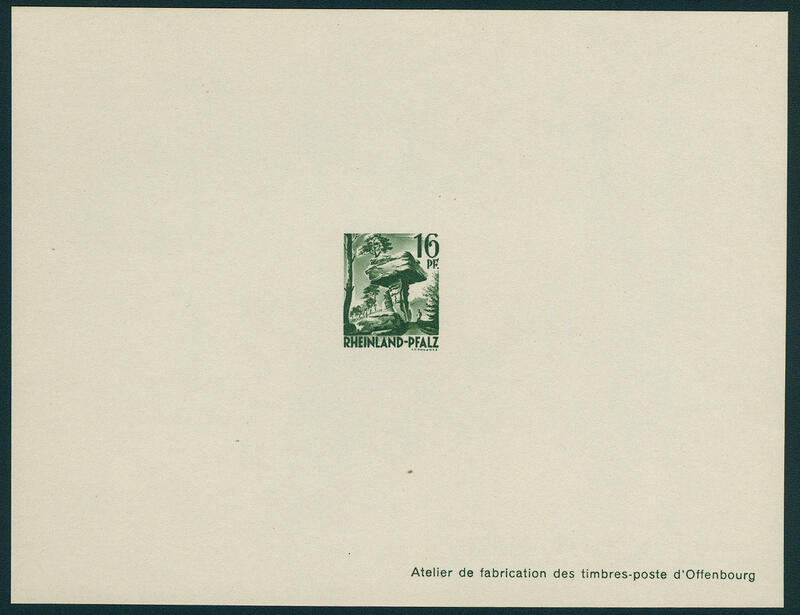 6573 1/13SU Generally issue, all 13 values unperforated, fresh colors and in perfect condition mint never hinged as well the two of them top values with marginal numbers \"IN2\" respectively \"IR3\". Especially attractive and rare in this form! 6574 2 3 Pfg. 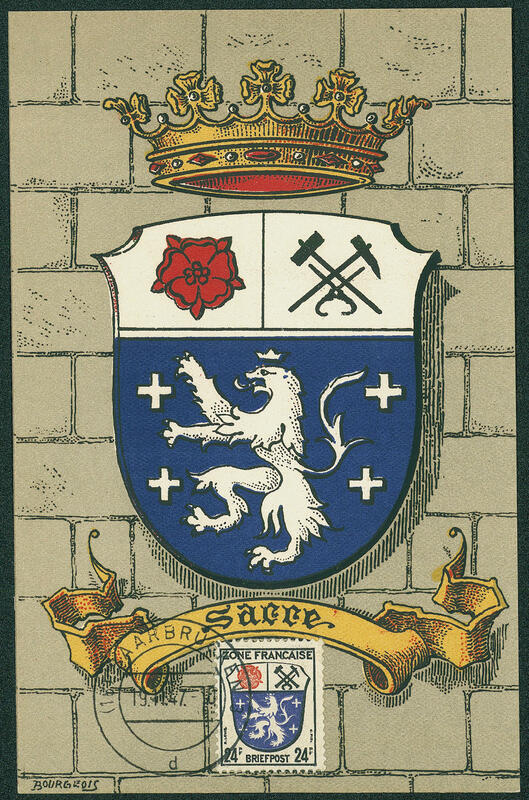 Coat of arms, fantastic collection of the dates of printing except for the date of printing from 21.8.46 bx more then complete. 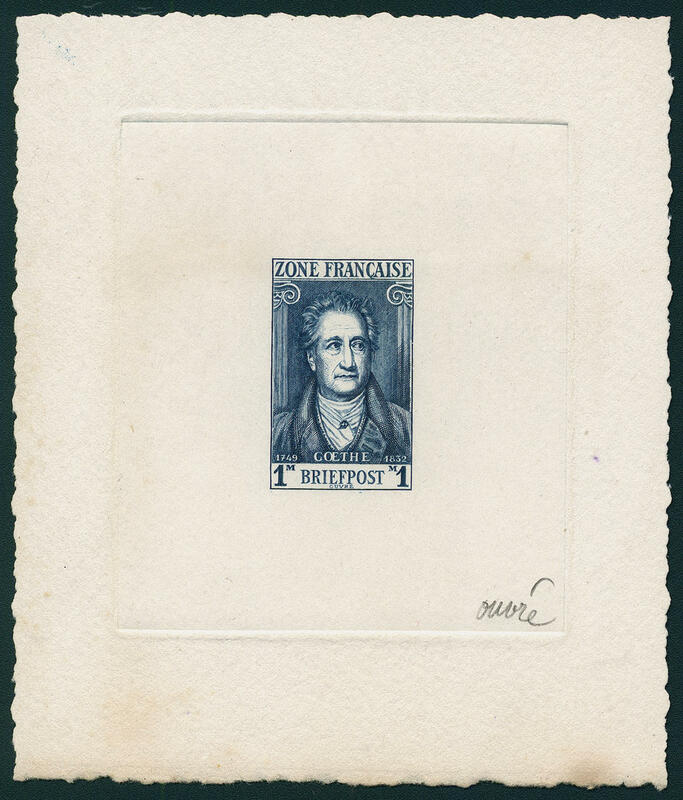 With also the very scarce date of printing from 8.3.46 crossed in the complete sheets, the extremely rare date of printing 16.8.46 bx in the sheet and so on. 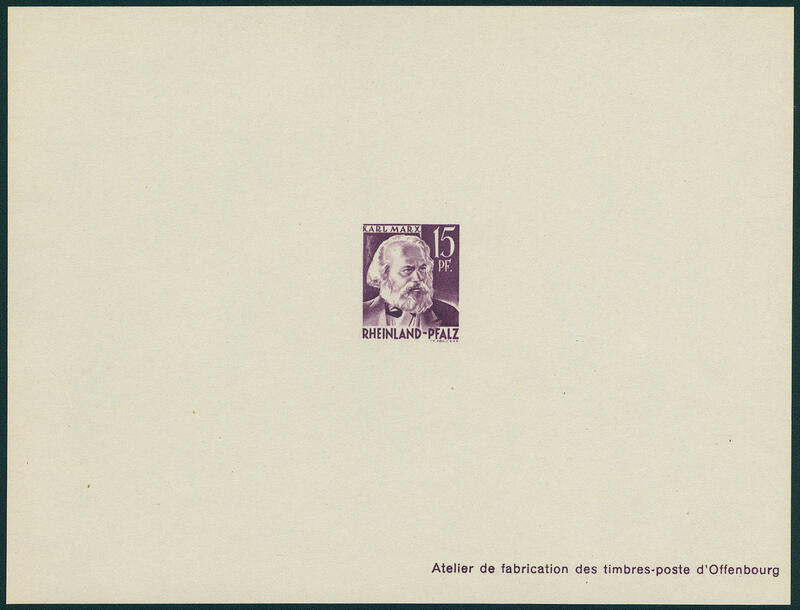 In total includes the collection 74 sheet, of it four with corrected sheet number, two strip from lower margin and 46 blocks of four from the corner, as well six corner margin pairs / single pieces. Hardly ever offered in this richness and variety! A listing is enclosed. 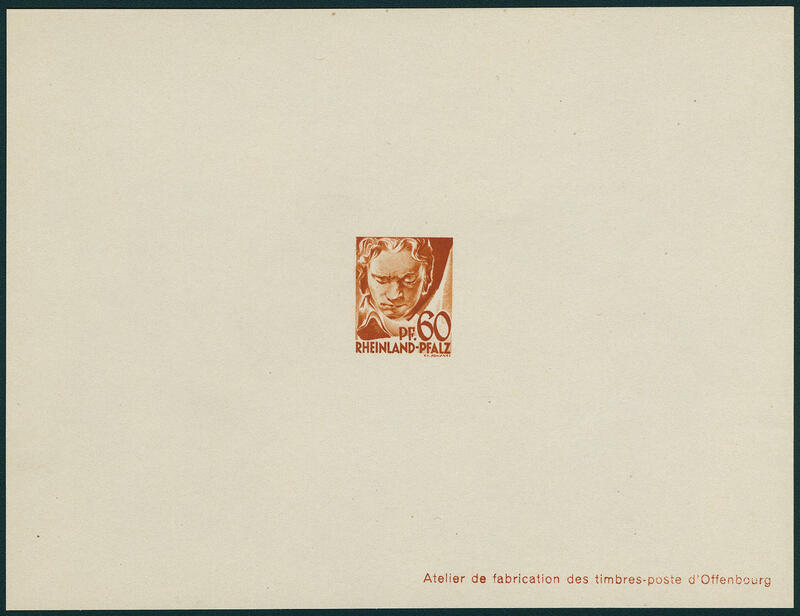 6575 6 12 Pfg. 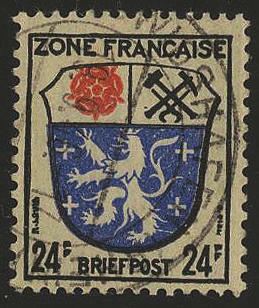 Coat of arms 1945, horizontal strip of nines with gutter from the left lower corner of the sheet. This with spectacular double corrected sheet number from 75320 in 77720 and then in 27920. In this kind a rarity of this issue! 6576 ⊙ 8bx 20 Pfg. 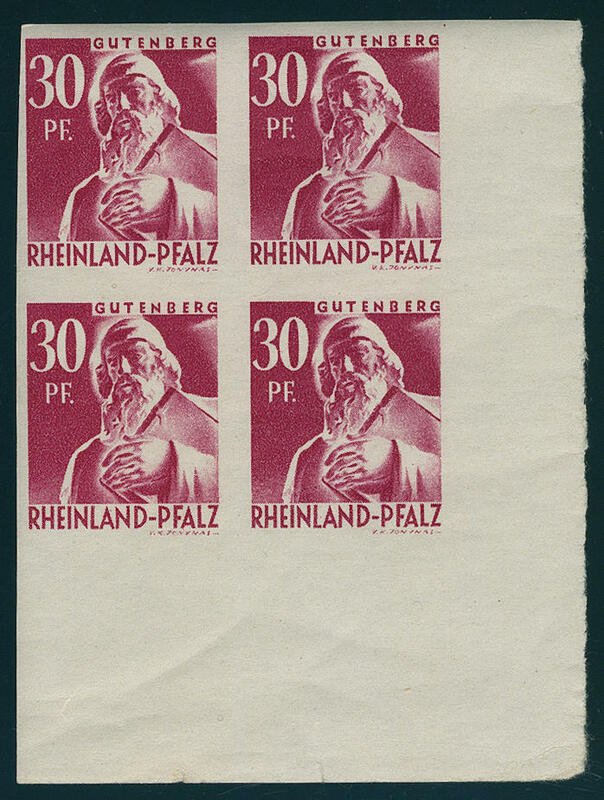 Bright red / dark-yellowish-orange / black, paper x, wonderful block of four, wonderful fresh colors and very well perforated from right margin of sheet, especially nice centric cancellation \"DAUN 10.8.46. \". 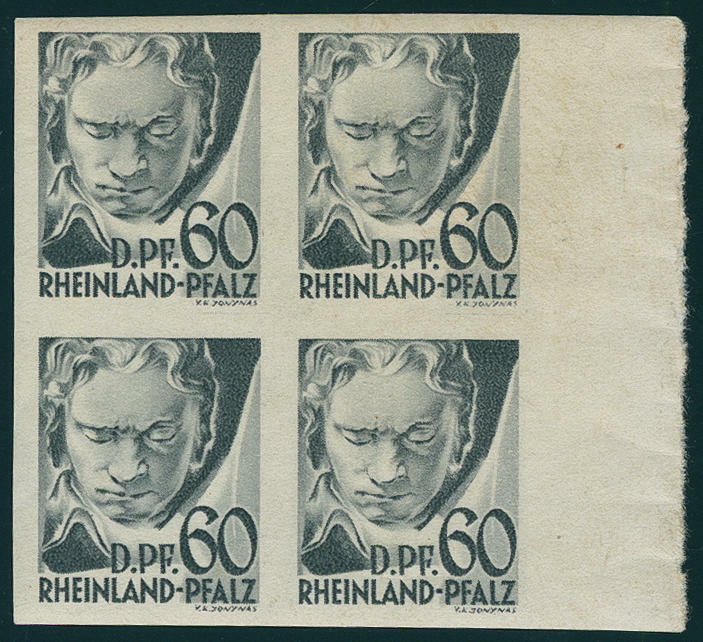 These stamp originates the half day edition from 1.12.1945. There are very few used examples have become known. 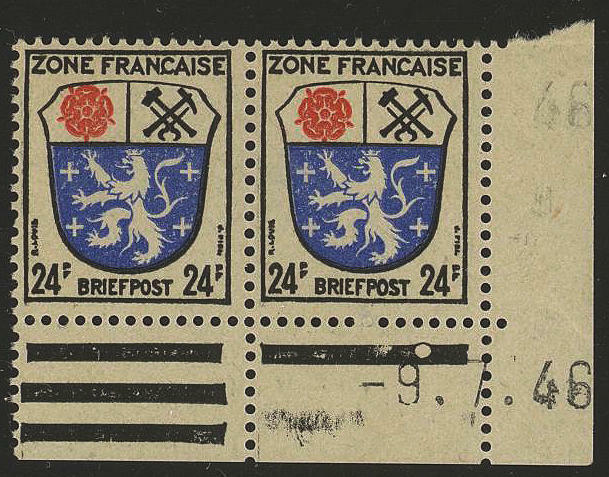 This block of four counts therefore to the large valuables of the French zone! Photo expertize \"genuine and immaculate\" Straub BPP. Michel 4800,- €. 6577 Fheetlet 8K1 20 Pfg. 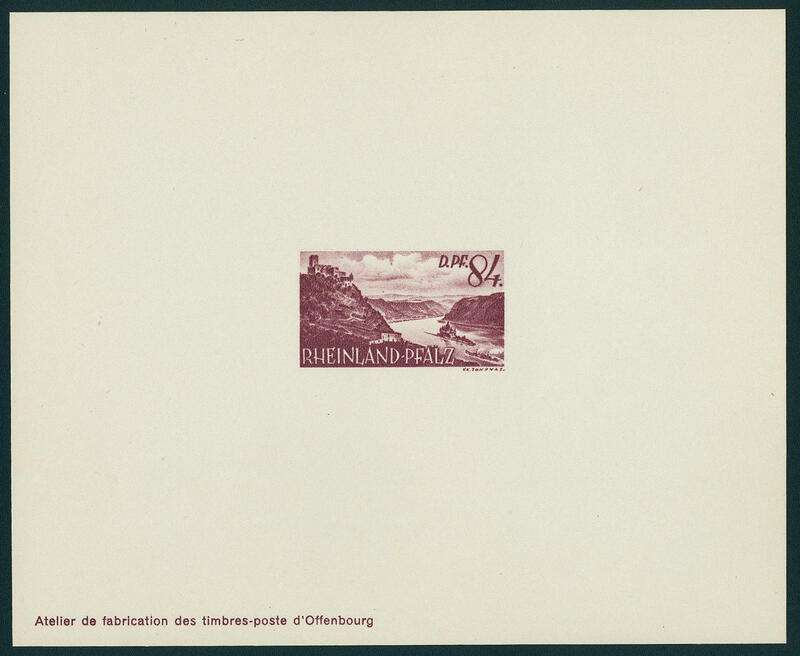 Wuerttemberg, the scarce vertical format artist print on white ungummed paper in the final colours, unperforated, in perfect condition. Rare! Photo expertize \"genuine and immaculate\" Straub BPP. 6578 9 24 Pfg. 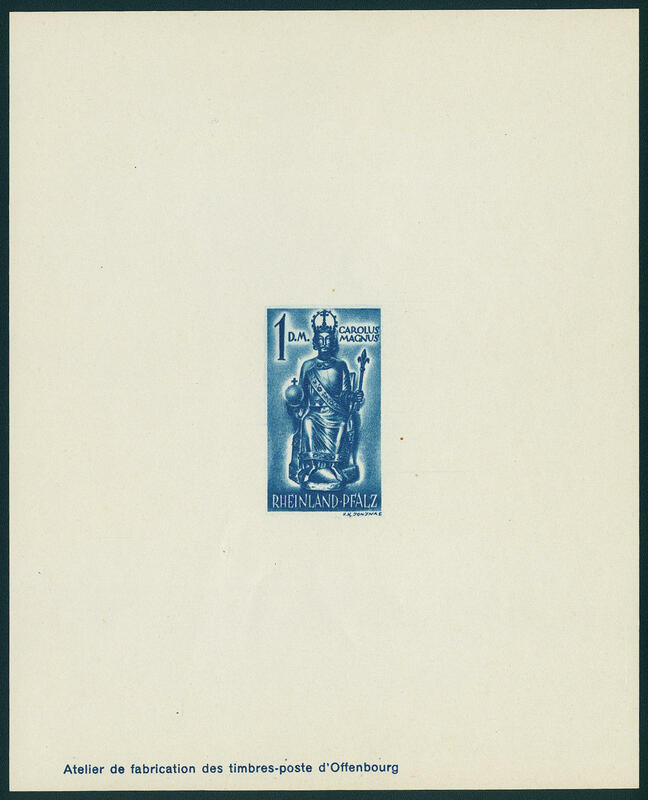 Coat of arms, magnificent special collection all dates of printing, more then complete including the rarely issues, also the dates of printing from 19.7.46 in the horizontal corner margin pair. 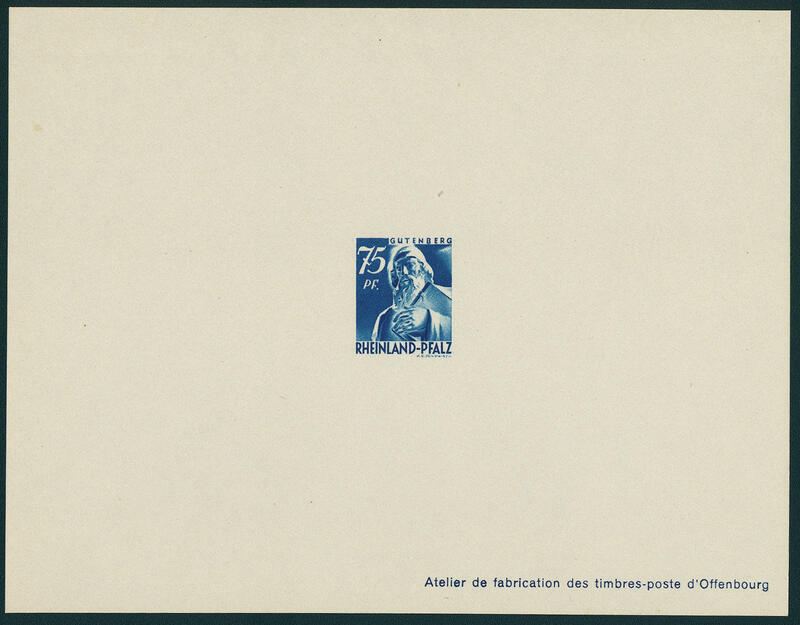 The collection exists from 80 sheet, 8 strip from lower margin, 53 blocks of four and 13 corners of the sheet. A listing is enclosed and can requested become. Also corrected sheet numbers are available. In this unity hardly once again to gather! 6579 ✉ 9 24 Pfg. 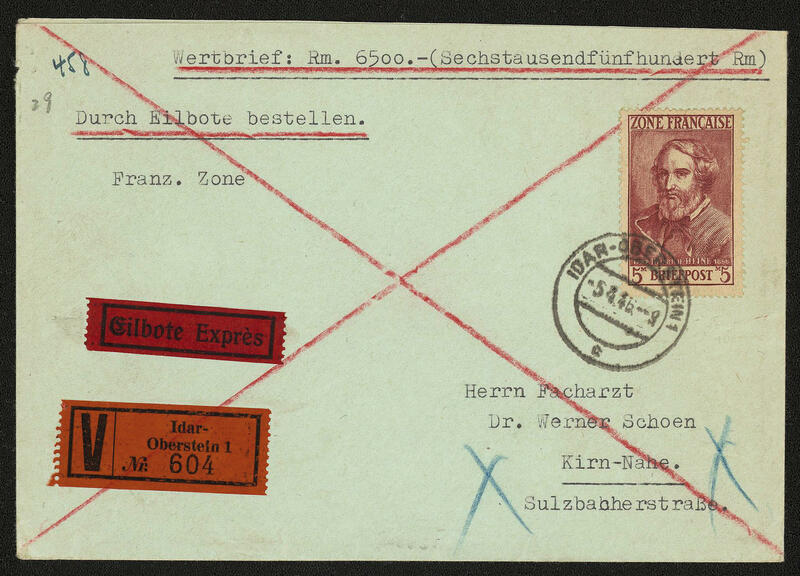 Saar region on very nice colored maximum card, perfect used \"SAARBRÜCKEN 19.11.47. \". Very decorative! 6580 ⊙ 9bx 24 Pfg. 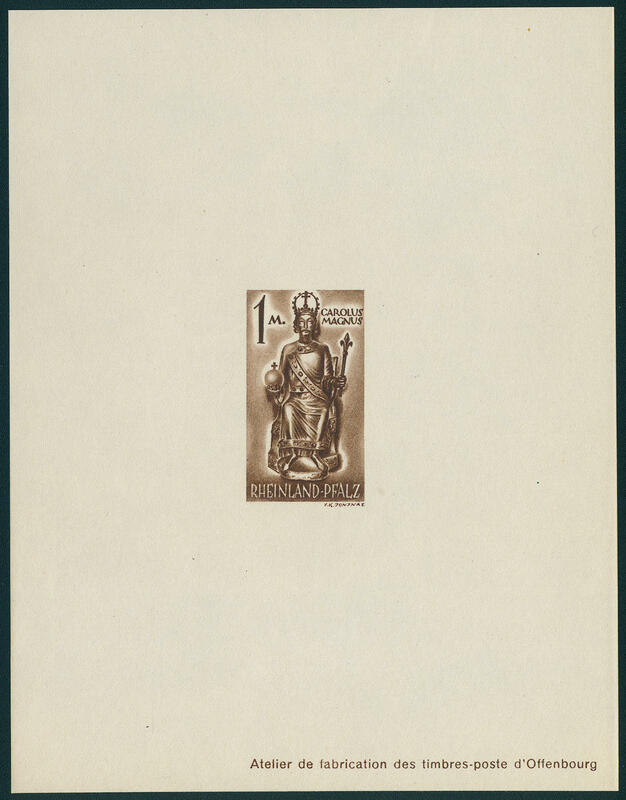 Coat of arms, the extremely rare x-paper from the daily circulation from 9.7.46, fresh colors and very well perforated, fresh colors and very well perforated, neat cancelled \"LUDWIGSHAFEN 19.9.46. \". Genuine used a rarity of the French zone, the in almost all collections is absent! Photo expertize \"genuine and immaculate\" Straub BPP. 6581 ✉ 9bx 24 Pfg. 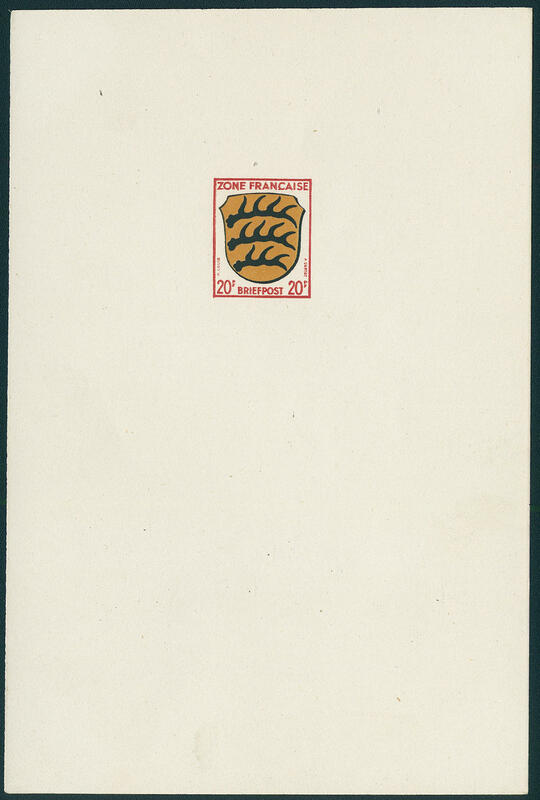 Municipal coat of arms Saarbrücken, the extremely scarce type of paper x, fresh colors and in perfect condition as correctly franked single franking on cover from \"LUDWIGSHAFEN 8.10.46. 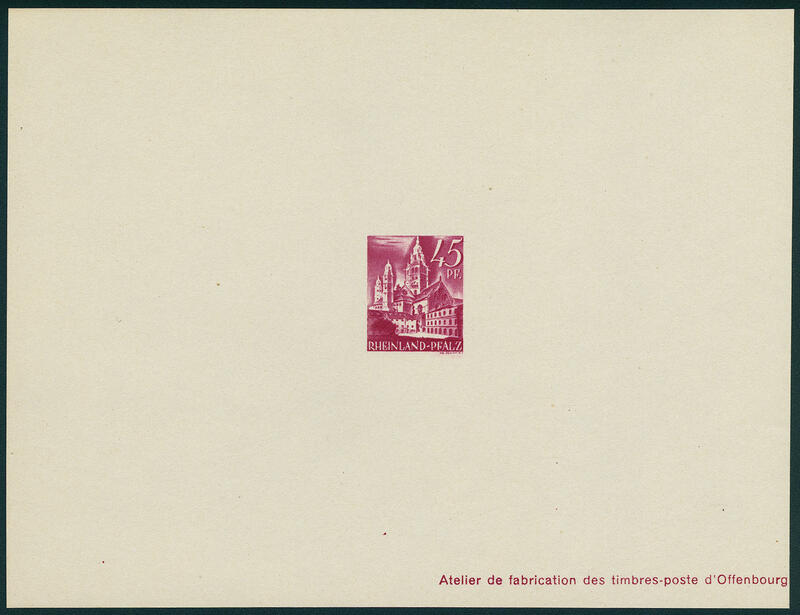 \" to Munich, there within the Locate forwarded. 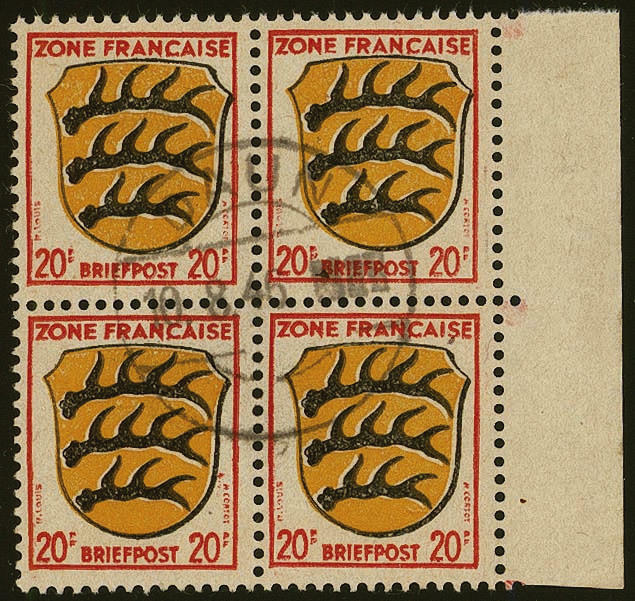 There are already lots used examples of this issue hardly to find, so count covers hereof to the large rarities of the French zone! Photo expertize Straub BPP. 6582 pr f 10P2 30 Pfg. Coat of arms, proof from die, black deduction of three separately arranged die with blind print of the stamp frame, very scarce issue! 6583 pr f 11/13Proben 1 Mk. Goethe, 2 Mk. 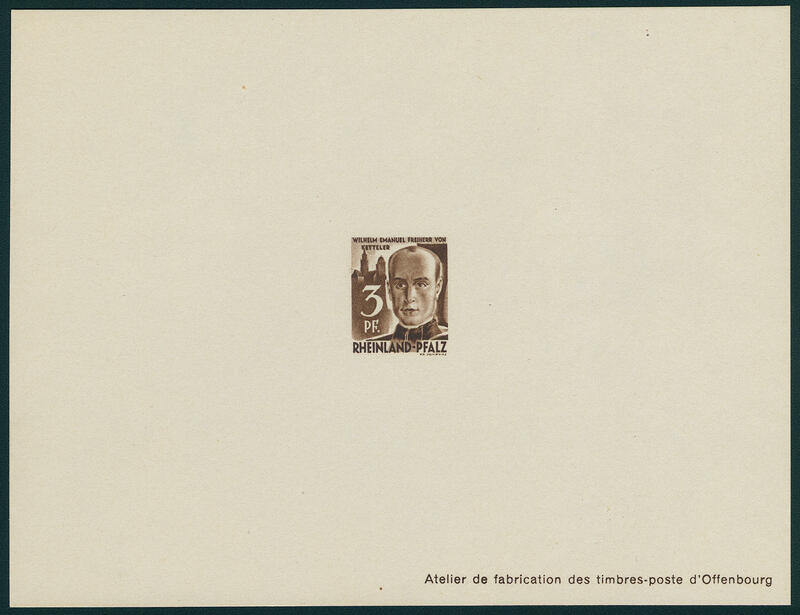 Schiller and 5 Mk. 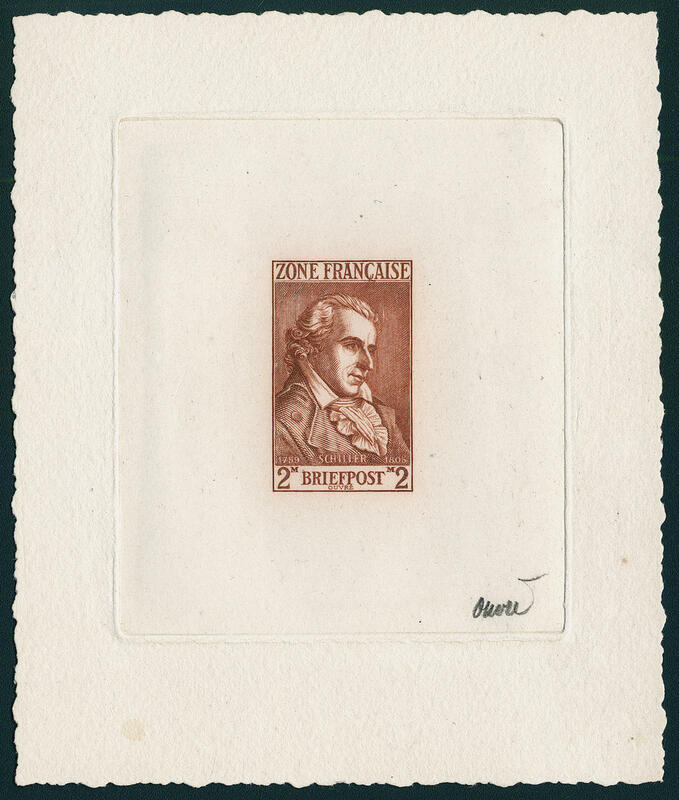 Heine, three colored trial proofs of the craft original engraving on hand made paper, the 1 Mk. 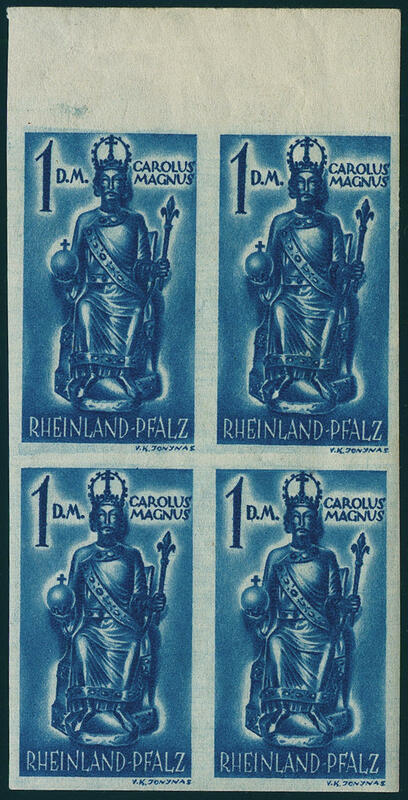 In blue, the 2 Mk. In dark brown and the 5 Mk. 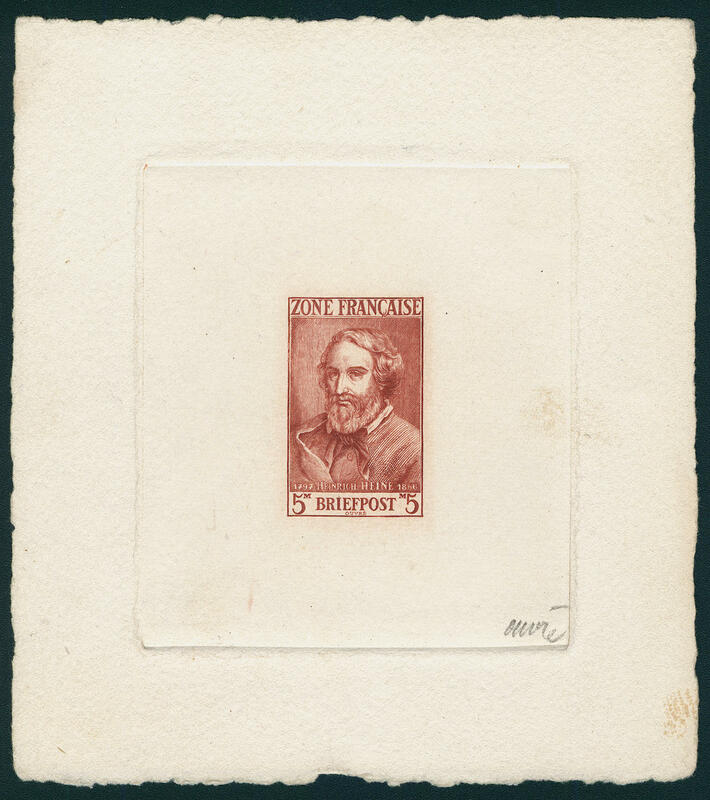 In reddish brown with signatures of the engraver \"OUVRÉ\", partly as usual minimal shaded, irrelevant. 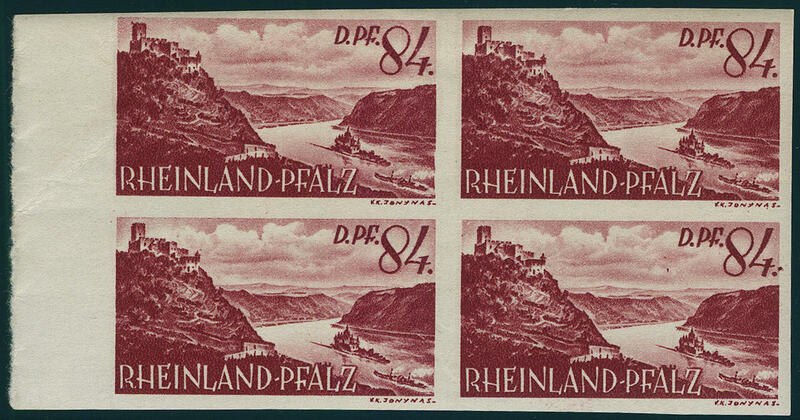 An attractive and very scarce set! 6584 ✉ 13 5 Mk. 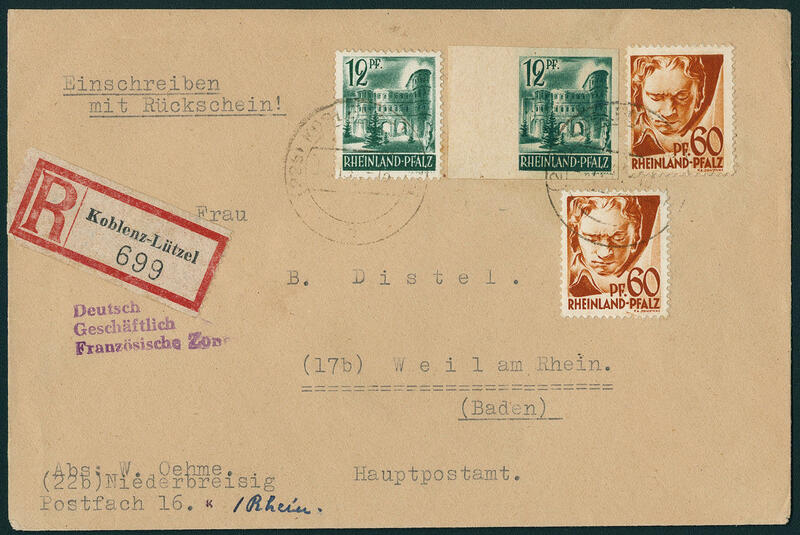 Heinrich Heine with additional franking on very nice, correctly franked insured letter over 10000,- Mk. 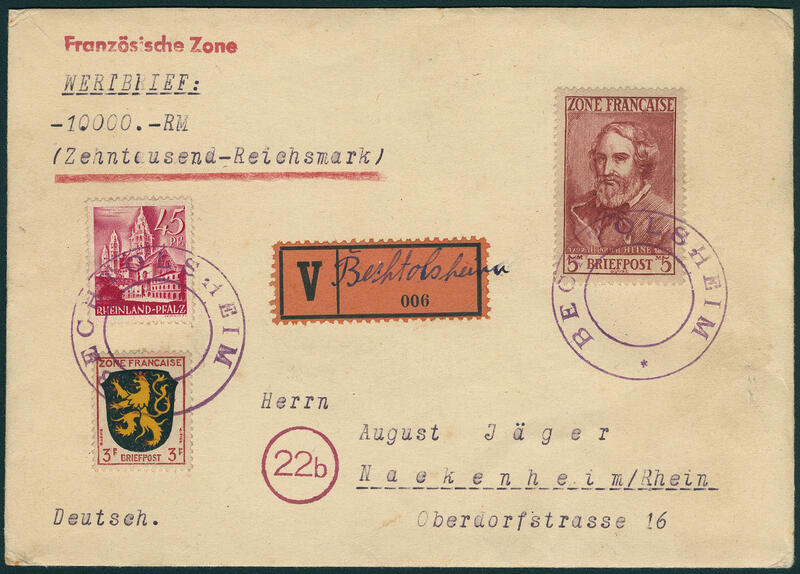 With scarce violet provisional cancel \"BECHTOLSHEIM\" to Nackenheim with arrival postmark. A wonderful cover! Photo expertize Schlegel BPP. 6585 ✉ 13 5 Mk. 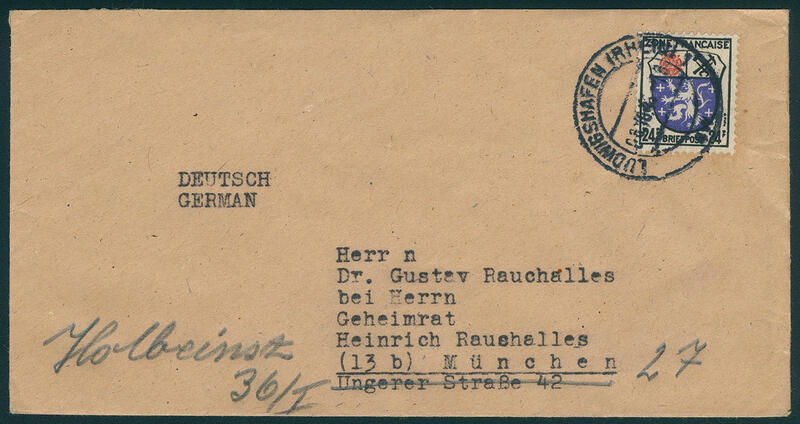 Heinrich Heine, scarce single franking on almost correctly franked special delivery insured letter the 2. 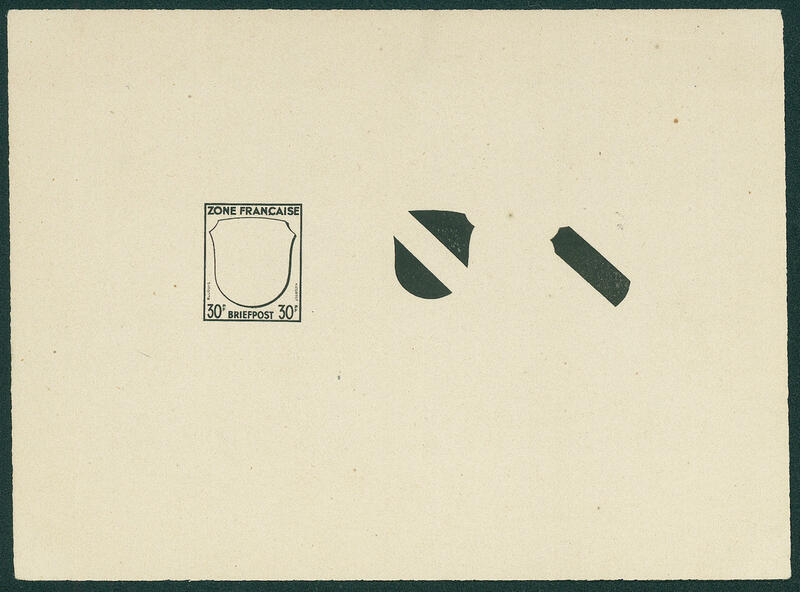 Weight step from \"IDAR-OBERSTEIN 5.4.46. 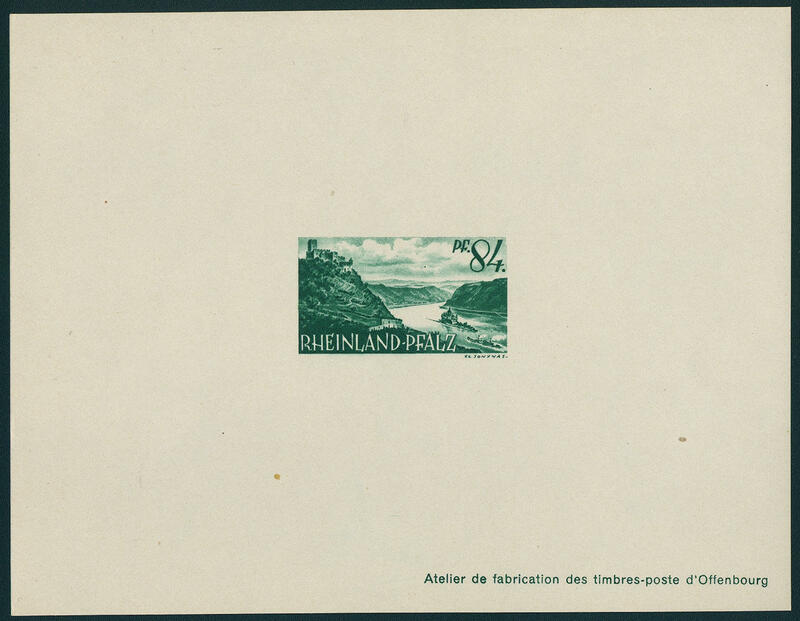 \" to Kirn with arrival postmark, the seal were removed. Photo expertize Straub BPP. 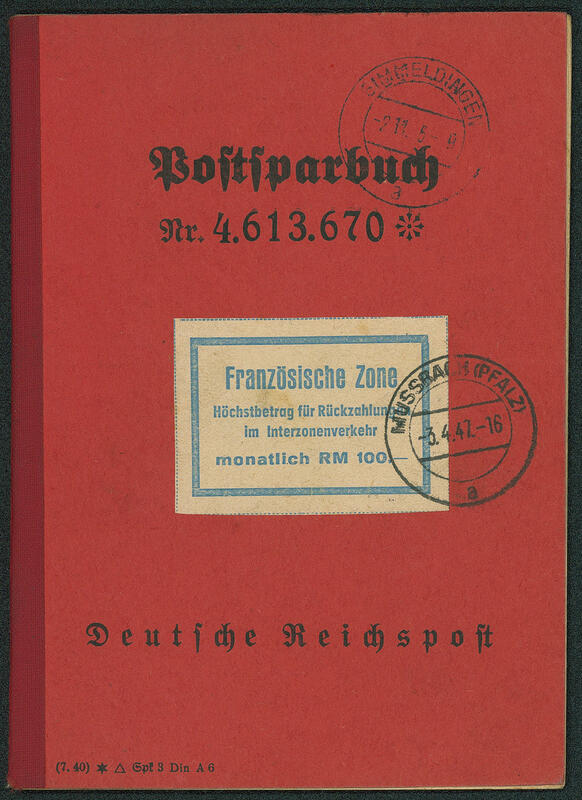 6656 Buch Postal savings book of the German Reichspost (issue 1943), inside with postmarks from \"MUSSBACH\" from the years 1943 / 47, on face with adhesive label \"French zone Maximum for Repayment in the interzonal communications traffic by the month RM 100.-\" and turning into stamp \"MUSSBACH (Palatinate) 3.4.47. \". Interesting contemporary document! 6625 1/15M Postage stamps set 1947, all 15 values as Secretary of State souvenir sheets, fresh colors and in original size in perfect condition. 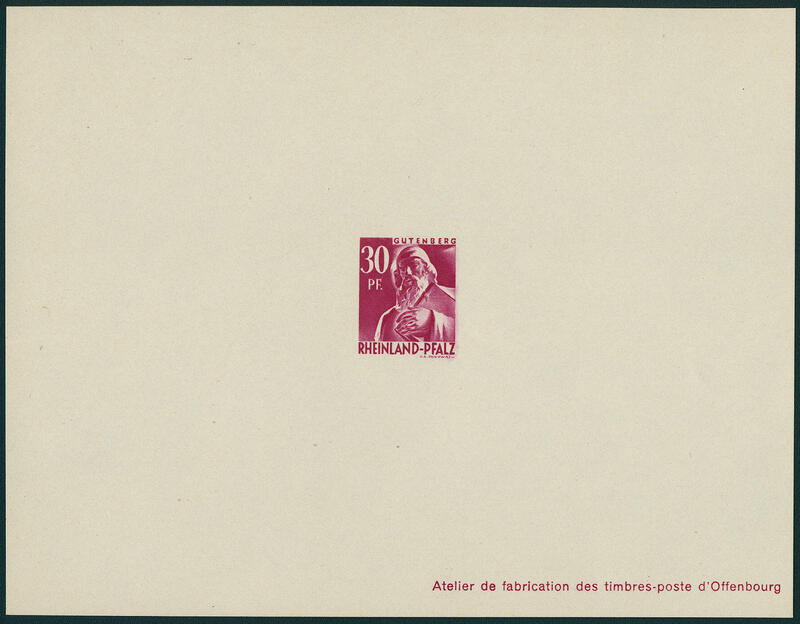 An extraordinarily scarce set, by Michel undervalued! 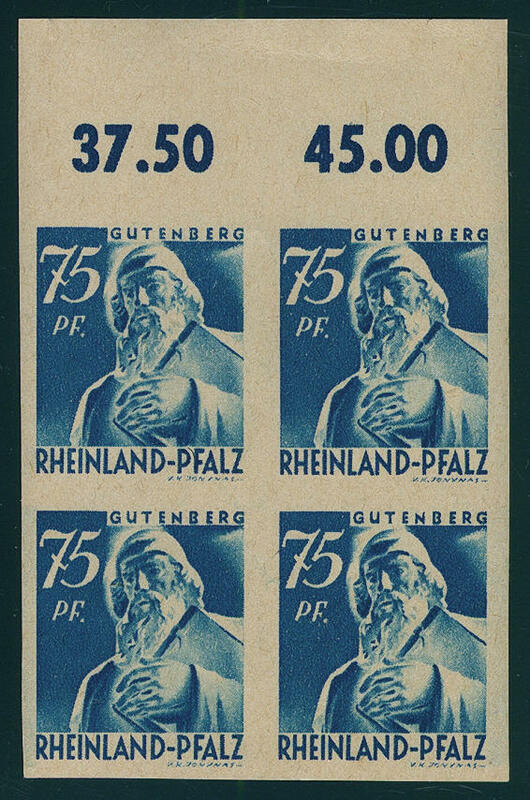 6626 1/15U Postage stamps set 1947 unperforated in blocks of four, except for the 60 Pfg. Complete, partly from margin of sheet respectively corner margin, mint never hinged, only 15 Pfg. A value slightly stuck and 84 Pfg. Small tiny spot. 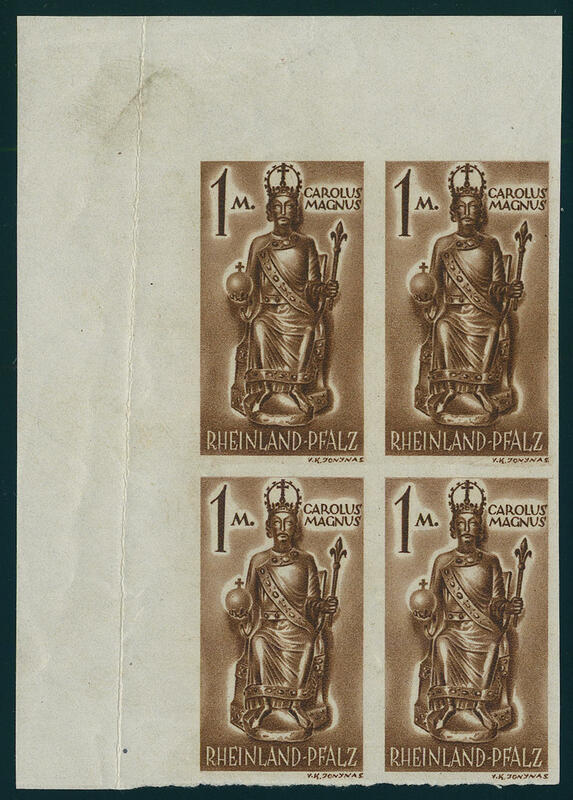 An extremely scarce issue and as blocks of four since a long time offered no more! 6627 ✉ 4U 12 Pfg. 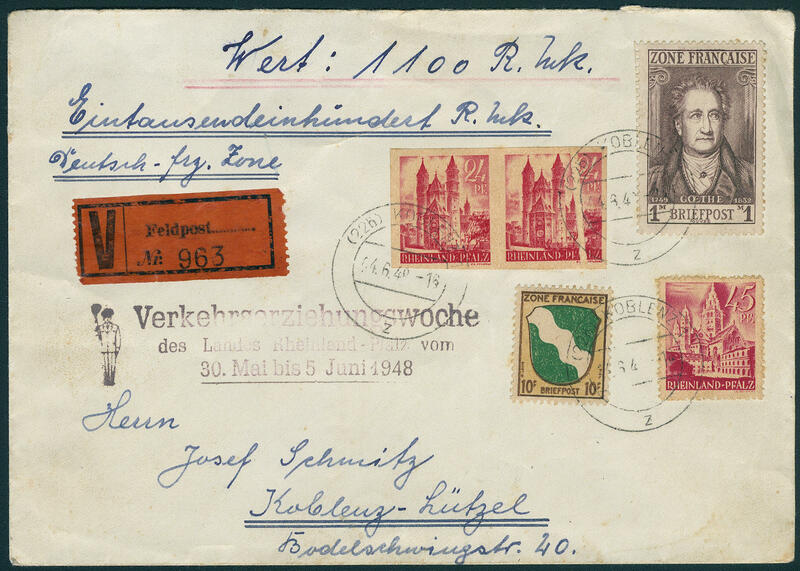 Porta Nigra from left margin of sheet, four sides unperforated with additional franking on very nice registered cover with return receipt from \"Coblenz LÜTZEL\" to because on the Rhine with arrival postmark. 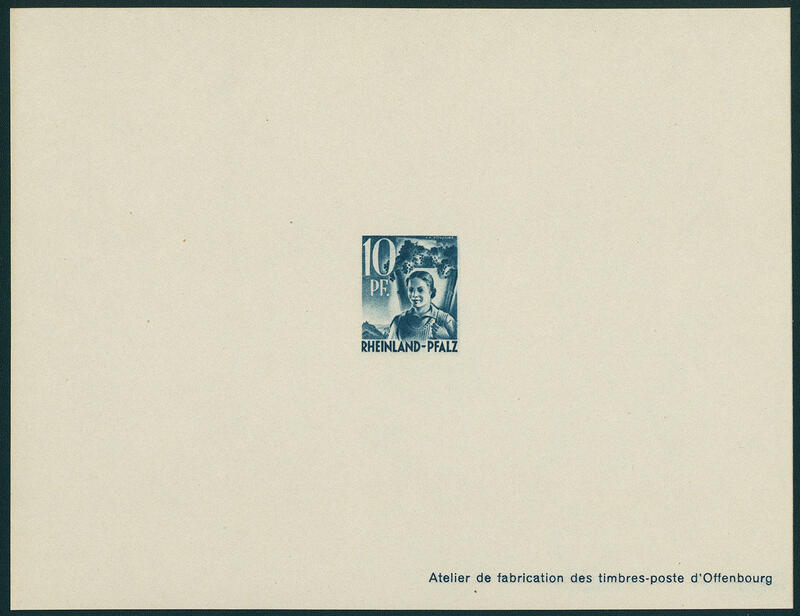 Unperforated stamps were allowed not really to the franking to be used. An extraordinary document! Expertized Schlegel BPP. 6628 ✉ 8U 24 Pfg. Wormser cathedral 1947, horizontal pair as unperforated spoilage printing, right stamp with decorative pressed fold, with additional franking on philatelic insured letter from \"Coblenz 4.6.48. \". Very attractive and in this kind extraordinarily rare! 6629 16/29M 2. Postage stamps set 1948, all 14 Secretary of State souvenir sheets complete, fresh colors and in perfect condition. A very scarce set with all small edition, by Michel undervalued! 6630 16/29U 2. 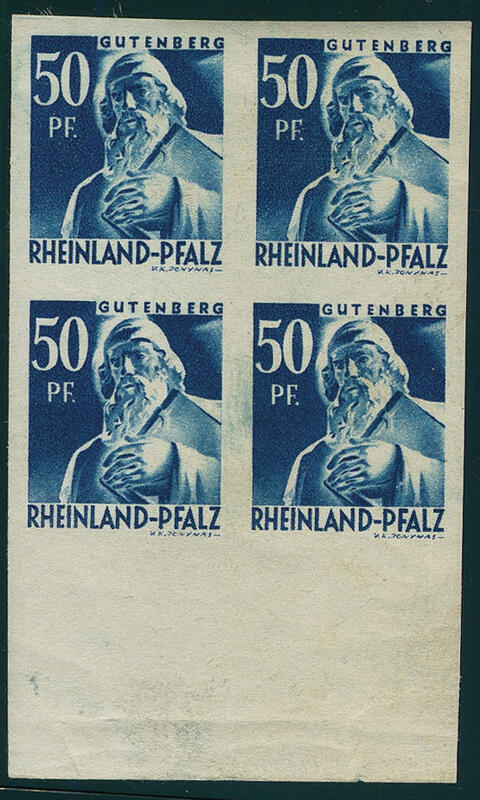 Postage stamps set 1948 unperforated in blocks of four, partly from margin respectively corner margin, fresh colors and in perfect condition mint never hinged only 10 Pfg. A value adherence trace, as well 50 Pfg. With affixed spots. Already several unperforated sets are practically never offered. 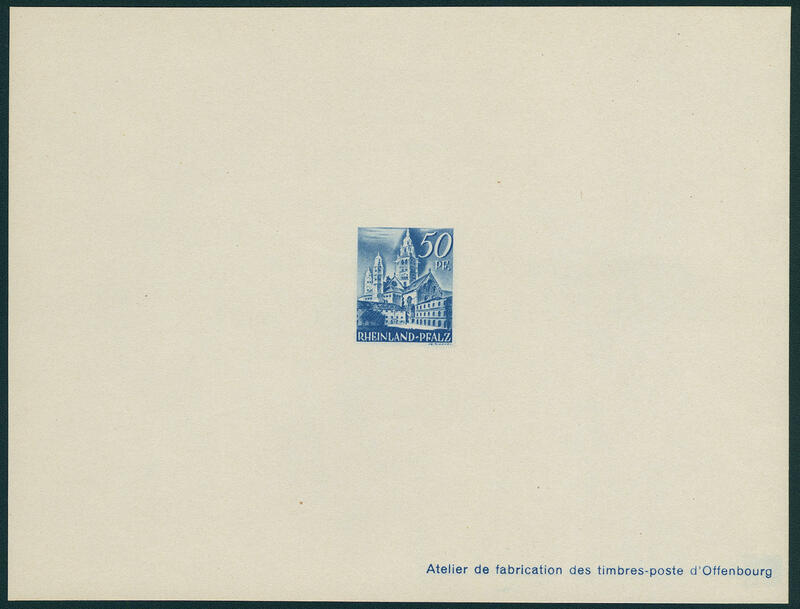 In this kind as set in blocks of four a significant rarity of the French zone!